Visiting Heaven Docu-Film Project - Capt. 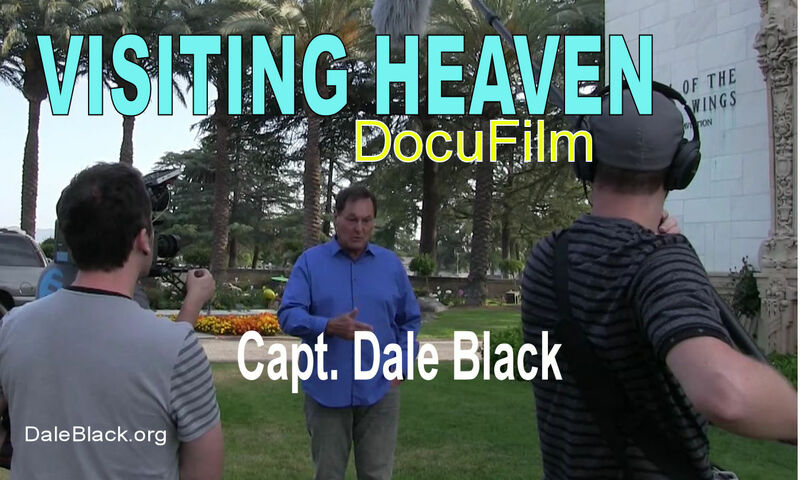 Dale Black - Author of "Flight To Heaven" and "Life, Cancer & God"
God has opened a new opportunity to produce an evangelistic documentary film of Dale’s amazing story based on his new book Visiting Heaven by Capt. Dale Black. It will be an hour-long documentary about his visit to Heaven following a fatal airplane crash. This DocuFilm will be produced and marketed to attract people to Dale’s astounding story but will include the truth about God and the power of the gospel message. This DocuFilm will be produced under the guidance and leadership of Dale and Paula Black to reach the lost and strengthen believers in their faith. You have likely noticed there are many stories being released these days about Heaven and life-after-death. Too many are sharing their story for fame or profit and exclude the message of Jesus as the Door to an eternity in Heaven with God. How many souls are being misinformed, led astray, and presented with a false security about eternity? Many are searching for truth about what waits for them beyond this life, and Dale’s testimony is not only dramatic and intriguing but offers a powerful representation of God’s power, grace and love. For several decades, Dale kept his visit to Heaven private—determined to live out his experience rather than talk about it. But now, in these turbulent days of the end times, God has confirmed that Dale must share his experience, and with it… the truth about God and the gospel. How many can be reached before it’s too late? There are millions of people in need of understanding God and eternity. The battle for souls is becoming more critical each day. With the release of Dale’s new book Visiting Heaven, a documentary film can be made that explains Heaven from a correct spiritual perspective that reveals God and His love for mankind. We believe this film will reach millions with the gospel message—presented within the dramatic and miraculous experience of a fatal airplane crash and visit to Heaven. This Docu-Film will be shown on YouTube, made into a DVD, and placed on Netflix. Our goal is to reach as many as possible as quickly as possible. But we need your help. We can’t do it alone. Though it won’t be the kind of budget a big movie requires, it will still require much support. God has brought us some truly talented people that are in the film and media business that also love the Lord. They are able to create something professional, of high quality, that will have a powerful impact. They have already provided a trailer that shows a sample of what can be accomplished. Will you help us get this message out? God is looking for those whose hearts are stirred—to reach millions with this eternal message. Jesus told us in Matthew 9:37-38 “The harvest truly is plentiful, but the laborers are few. Therefore pray the Lord of the harvest to send out laborers into His harvest.” Will you join us as a laborer in the harvest to save souls? (For gifts of $2,000 or more, your name will be engraved on a LEAF on the TREE of LIFE in the ministry office. For gifts of $10,000 or more, your name will be engraved on a STONE at the base of the TREE of LIFE).